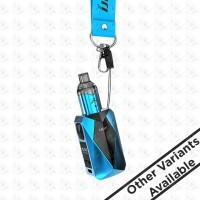 The iJoy Unipod Replacement Pod is meant for the iJoy Diamond VPC Ultra Portable Starter Kit. The Unipod system has a 2ml Salt Nicotine E-Liquid capacity, 10 to 15W output range, and 1.0 ohm atomizer resistance. These replacement magnetic cartridge are designed for MTL style vaping, respectively.